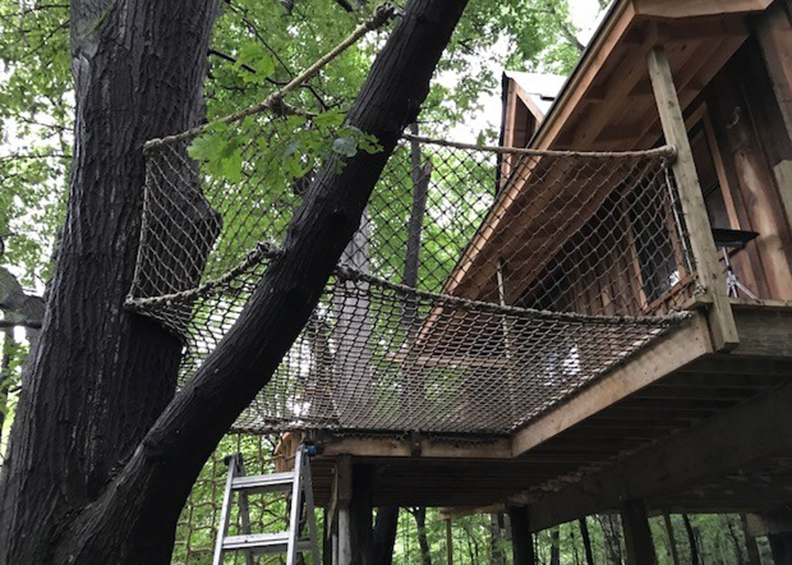 Over the years Pucuda-Leading has provided climb netting to the Animal Planet’s show Treehouse Masters. 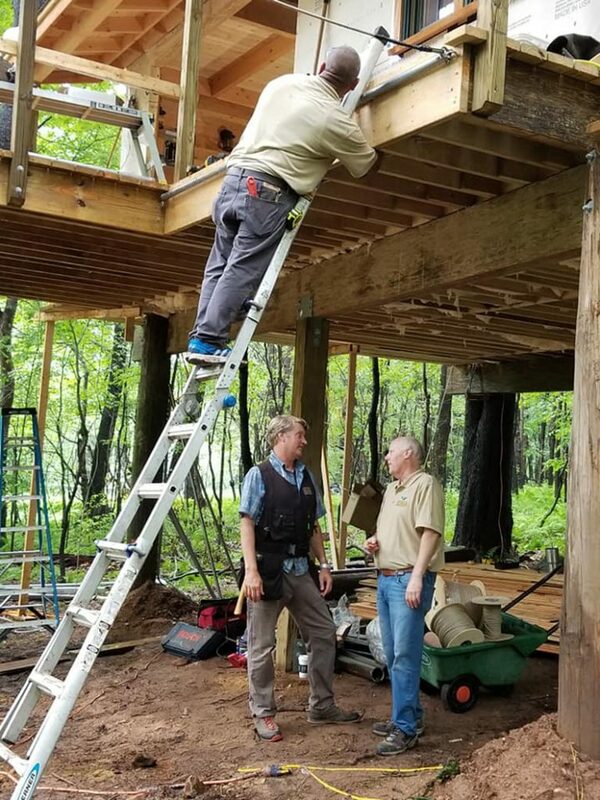 The premise behind the show involves the host Pete Nelson’s crew of carpenters and designers constructing a magnificent treehouse and recording the whole design/build process for television. 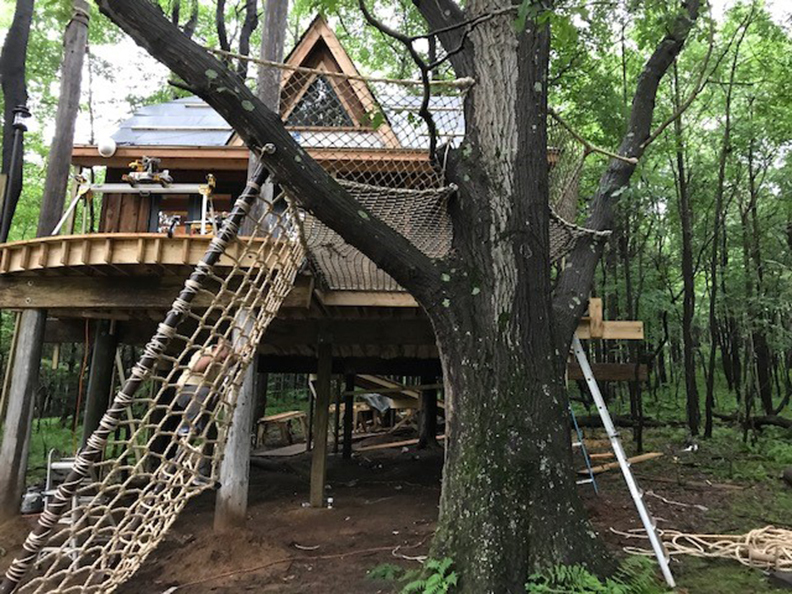 These structures can range from a family escape in the woods, to a hotel retreat or even a brewery. 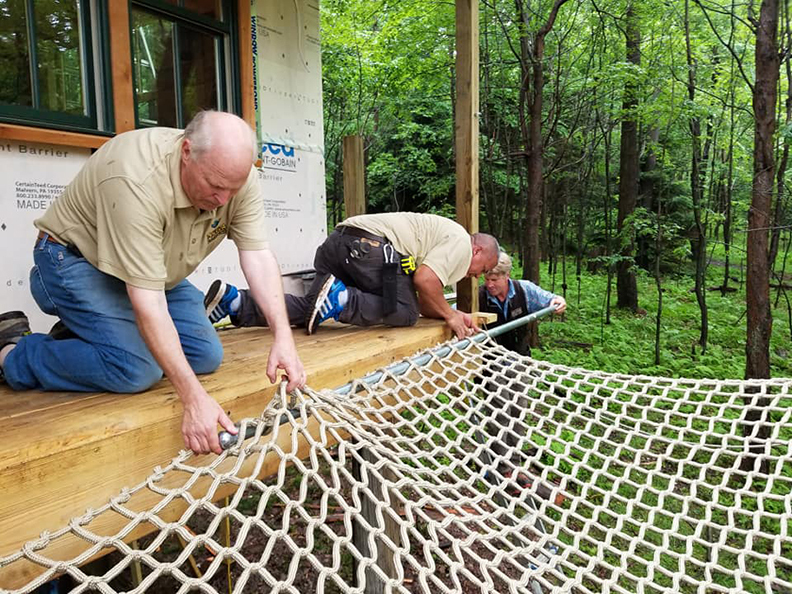 This past year, Treehouse Masters asked Pucuda to manufacture and install a climbing net wall and a netted platform for a treehouse which they built in Johnston, PA.
Making a custom climbing net. 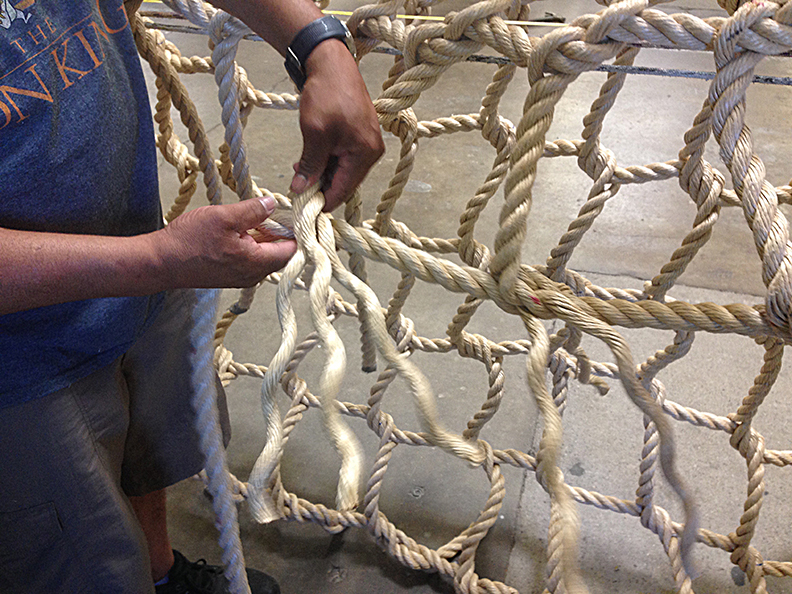 Hand weaving rope into a climbing net. 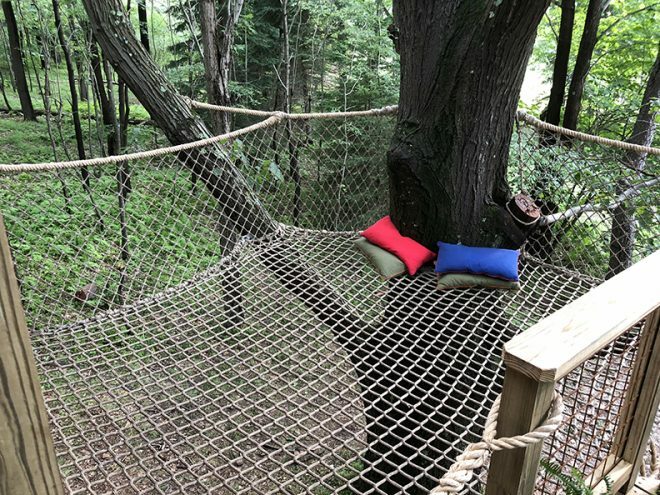 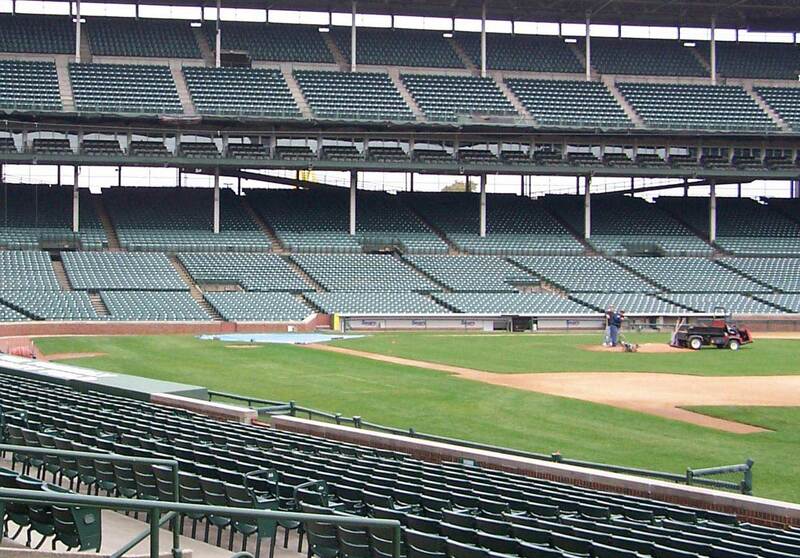 For this project, we used three different netting products. 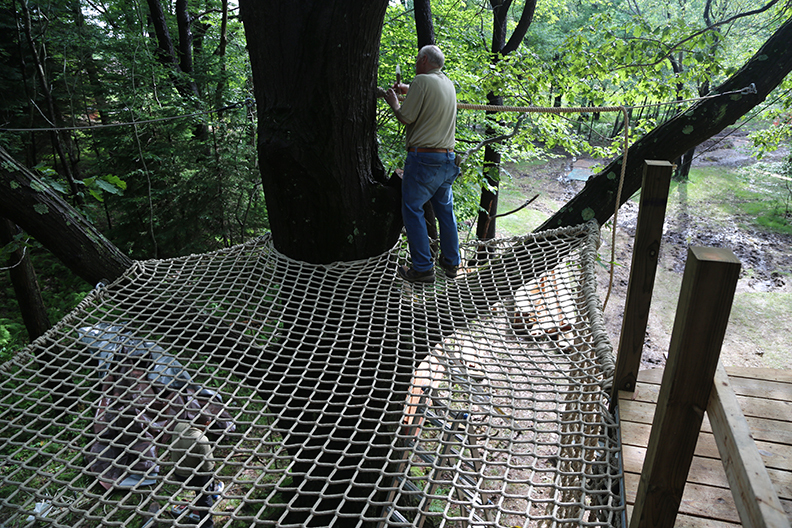 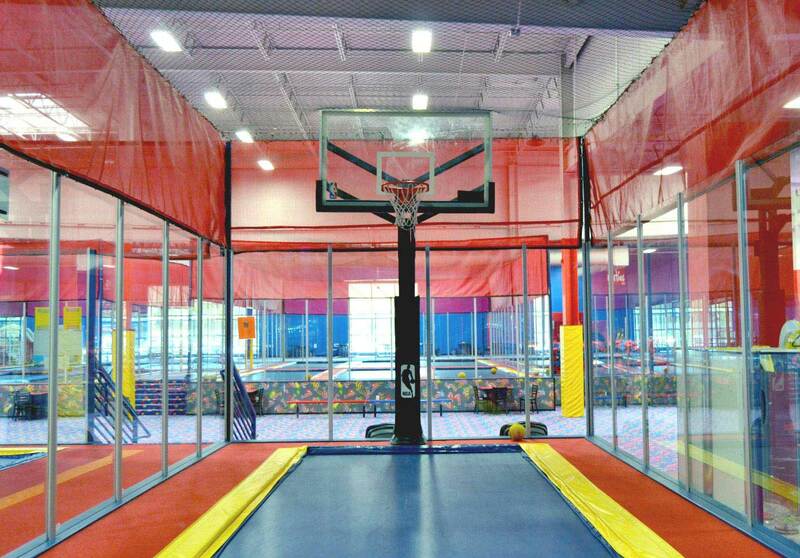 The one used for the climbing net wall was made from 1“ polypropylene rope. 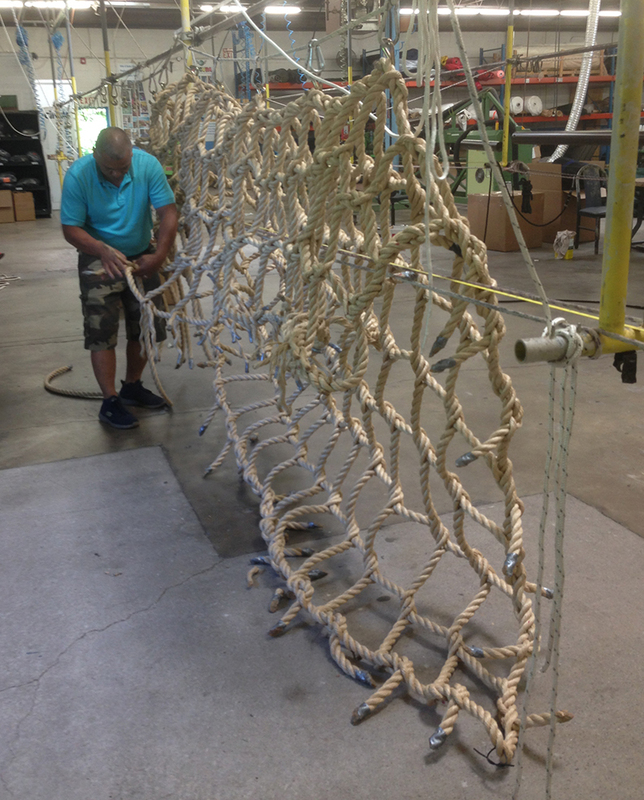 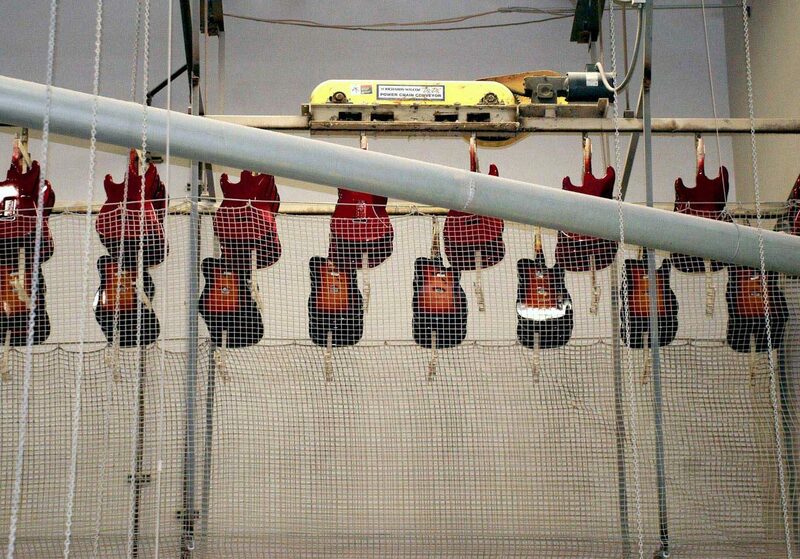 The manufacturing process starts with the raw rope, which was cut to the appropriate lengths and was then woven into a net using double-tack splicing. The net for the platform, was our standard 5/8” climbing net, with a 20T barrier net to keep people from falling off the platform. 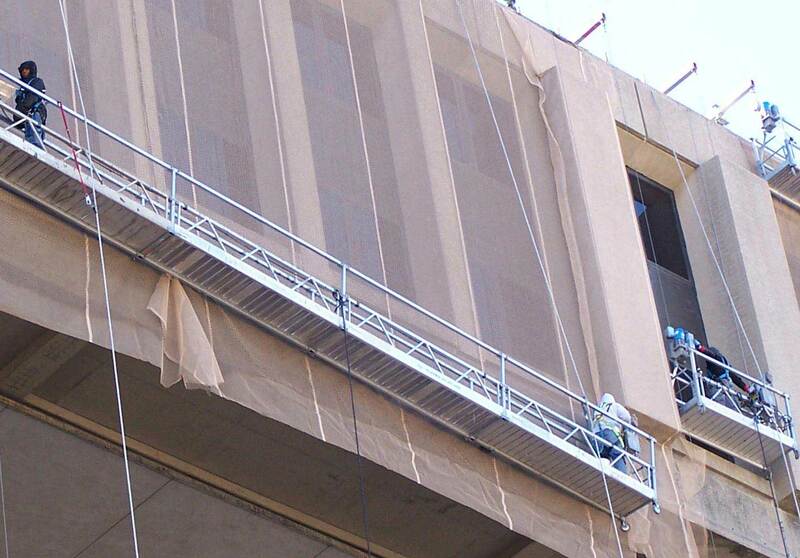 Adding a barrier net railing to the perimeter of the netted platform. 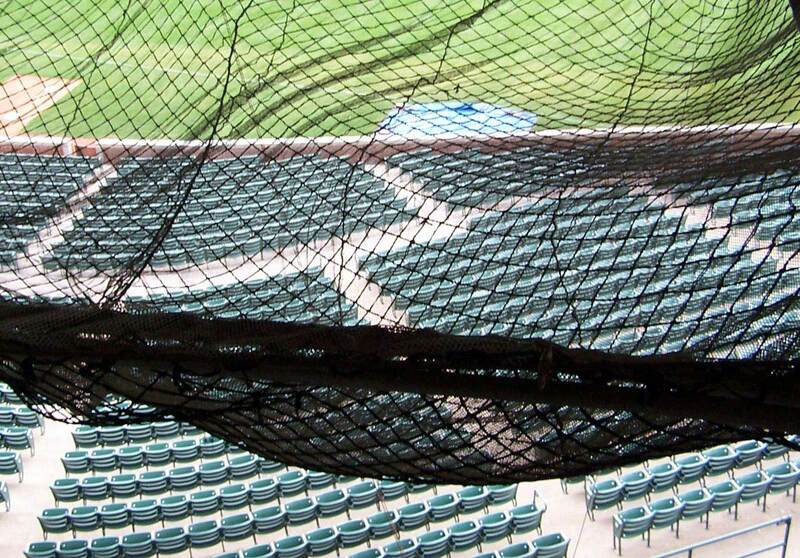 Pucuda Leading Edge provides climbing netting, barrier netting and safety netting for amusement parks and waterparks all over the world.